Page 2 : Big City Market, Big City Market Delivers it All! It was October of 2010 when Donna and Judy (owners of Wine Glace’) granted Big City Market permission to become an online retailer of their Wine-A-Rita product line. 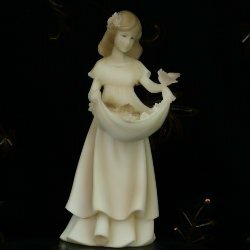 There were four flavors offered at that time and Wine Glace’ had two options, Decorative Box or the beautiful Fabric Bag, making a total of five products. Introduced by Donna and Judy in 2005, Wine Glace’ was the original flavor that gave birth to their new business. Wine Glace’ mix can be blended with either red or white wine. A Merlot will create a full body taste, and for a lighter taste, add White Zinfandel, or use a fruit wine for a sweeter treat. Senorita is a fantastic twist on the south of the border favorite, the Frozen Margarita. Senorita Beverage Mix can be blended with white wine for a lighter beverage, or with Tequila for the more traditional classic taste. Putting a twist on a trendy classic, mixing CosmoRita with white wine or vodka, a wonderful cocktail now becomes a frozen treat. This is the mix that has become the number one best-selling item at Big City Market today. A blender, wine, and ice along with this incredible mix, is all you need to make your own fantastic Peach Bellini’s. So after a long day, why not kick back and relax with a Peach Bellini? In January of 2011 Berry Pom-A-Rita was introduced as the fifth flavor in the Win-A-Rita product line. Late 2012 the Berry Pom-A-Rita became Blueberry Pomegranate, same wonderful drink mix with a new name. Blueberry Pomegranate is made with a tantalizing blend of blueberries and pomegranate; both are very high in antioxidants and can have great health benefits. Blueberry Pomegranate can be blended with either red or white wine for a zesty out of the ordinary cocktail, or mix with cranberry juice cocktail for a non-alcoholic frozen treat. For those watching their calories, Skinny Senorita was introduced in June of 2011. Skinny Senorita is sugar free; you get the same wonderful south of the border taste with fewer calories. Just like the regular Senorita, blend Skinny Senorita with white wine for a lighter taste, or Tequila for a more traditional classic taste. Strawberry Mango is now the newest Mix from Wine-A-Rita, it is offered in 6, 12, and 21 oz bags. The Mix-It-Up Variety Pack was introduced in June of 2011. With Mix-It-Up you get all 5 of the Wine-A-Rita favorites and a decorative box. Each 6 oz bag makes 1 blender size pitcher. Mix-It-Up includes one each of: Peach Bellini – Italy’s answer to a Mimosa – Mix with White Wine or Champagne CosmoRita – A new twist on a classy cocktail – Mix with Wine or Vodka Senorita – A south of the border favorite – Mix with White Wine or Tequila Wine Glace – The first mix created by Wine-A-Rita – mix with Red or White Wine Blueberry Pomegranate – Pomegranate and Blueberries yummy! You can make wonderful frozen non-alcoholic treats with any of these flavors by substituting the alcohol with Ginger Ale. It was June 2012 when Donna and Judy introduced another new item to the Wine-A-Rita product offering. Flavored Drink Rimmers were a natural fit and what a great way to enjoy your Wine-A-Rita beverages. 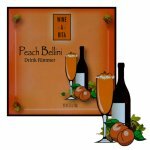 Peach Bellini, Very Berry, and Senorita Drink Rimmers became the newest items added to their product line. If you’re in the mood to add a bit of flavor and color to the rim of your glass, place about 3 tablespoons of drink rimmer on a flat plate, moisten the rim of your cocktail glass, and then dip the rim into the mixture rotating the glass until it’s evenly coated. In September 2012, just in time for Christmas, 6 oz bags of Wine-A-Rita flavors received festive packaging and became stocking stuffers like no others. Wine Glace', CosmoRita, Peach Bellini, Senorita, and Blueberry Pomegranate Stocking Stuffers will make their way to Big City Market every September. Be on the lookout, it’s the perfect gift for all the stockings you’ll need to stuff. In January 2013 three of the 6 oz flavors were introduced as Valentines. Wine Glace', Peach Bellini, and Blueberry Pomegranate received the Valentine packaging and were offered up as gifts of love and appreciation. Be sure to look for Wine-A-Rita Valentine Gifts at Big City Market each and every January. Big City Market stocks the complete Wine-A-Rita product Line. You can purchase all the Wine-A-Rita products online at BigCityMarket.Com. Wine-A-Rita 6 oz Products, each 6 oz bag makes 36 oz (1 blender size pitcher). Wine-A-Rita 12 oz Products, each 12 oz bag makes 72 oz (2 blender size pitchers). Wine-A-Rita 21 oz Products, each 21 oz bag yields 1.25 Gallons.